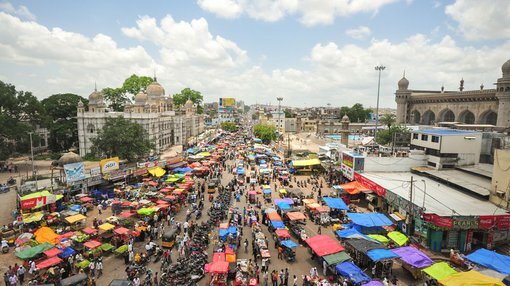 Are Australian and NZ businesses missing opportunities in India? The ASX in conjunction with TAT Capital and S&P Capital IQ are collaborating to educate businesses on opportunities they feel are being missed in India. TAT co-founder and Director Lasanka Perera said while other developed economies have been investing in India for some time, Australia is lagging behind. Back in 2012, Smart Company reported of The $80 billion Indian opportunity that’s too good to ignore. Fast forward to today and the message is the same: it’s time to start doing business with India. If you want more statistics SP Joshi, country manager for Australian Business International Trade Services cites the following: India’s burgeoning growth (8% to 9% annually) and a strengthening middle class of 350 million people (11% to 12% annual growth). So why are Australian companies slow to act and why have those who have gone to the Sub-Continent failed? “It’s frustrating seeing businesses fail because they haven’t partnered with the right people who understand the Indian psyche and how business is conducted in the Sub Continent,” Joshi said. TAT believes businesses looking to sell products and services offshore should put as much or more emphasis on having an India strategy as having a China strategy. The strategy, however, must be long term. NSL Consolidated (ASX:NSL) is one Australian company that exemplifies the success Australian companies can have working in India. NSL has been working closely with the government of Andhra Pradesh on the state’s 15 year business plan which expects 14% growth projected out to 2029, based on an aggressive infrastructure program. NSL has a Memorandum of Understanding with the government of Andhra Pradesh (GoAP) directly related to mining, beneficiation, and peletisation of low grade iron ores in the state. Recently NSL secured access to production expansion through additional strategically located mining leases, AP26 and AP27 located in the district of Kurnool, just kilometres from the company’s existing stockyard with its beneficiation plants. The company also entered a Binding Heads of Agreement on the Lessee executed for the life of the mining leases. This was all done with the support of GoAP, as part of the NSL/GoAP plans to unlock significant iron ore production potential for NSL in the newly formed state. The relationship between NSL and GoAP illustrates that strong relationships with bureaucratic entities can further a company’s cause, in line with state ambitions. Meanwhile, NSL has shown that it can work with both China and India to improve economic outcomes for private and public entities. NSL recently hosted a team of engineers from equipment provider Huate, one of China’s premier global beneficiation plant suppliers. The team was there to inspect the plant location and assist with detailed engineering design enabling the generation of final construction plans. NSL has put itself in a position of strength in India. It seems it has taken SP Joshi’s advice in partnering with the right people, which has been a strategic move from the get-go. Bottom line: there is enormous opportunity for companies looking for investment, and for investors looking for growth if they follow the rules of engagement.